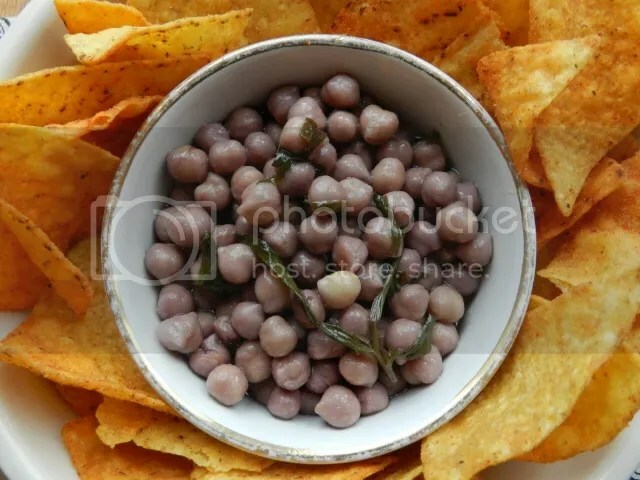 I’ve been wanting to make roasted chickpeas for a long time. Today was finally the day. I don’t think you can claim these are massively healthy – the oil and salt take care of that, but they’re high fibre, full of protein, full of flavour and you know exactly what’s gone into making them. And they’re really easy as well. Add the chickpeas and the other ingredients into a bowl and stir thoroughly until all the chickpeas are coated with the mix. Spread evenly over an oven tray. Put in the oven and roast for 10 minutes. 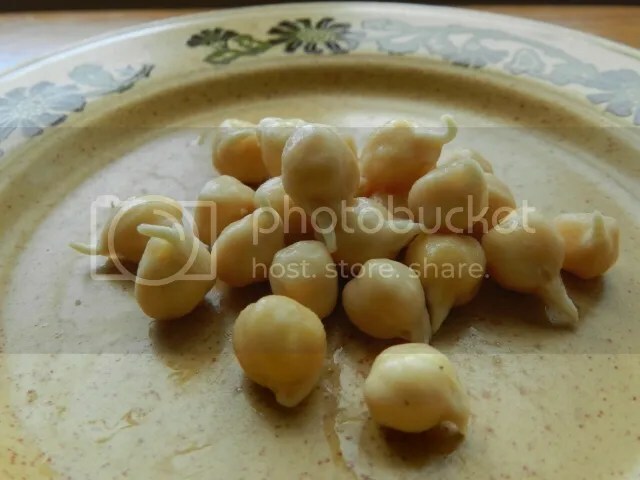 Take out of the oven and stir the chickpeas around so that they will cook evenly. Put back in the oven for 5 to 10 minutes more. Leave to cool and serve with the film or TV sport of your choice. Edit & NB I’ve been asked questions about timings on this. 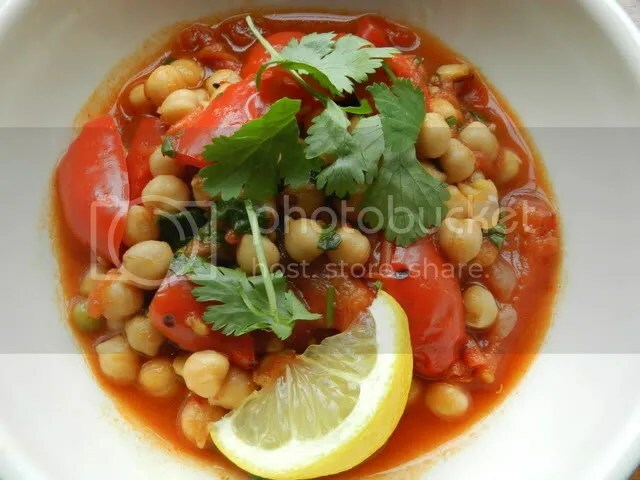 This recipe very much depends on your oven, if the timings here don’t get the chickpeas as crispy as you’d like, add an extra 5 minutes at a time until they are. Remember they will crisp up a bit more as they cool down. I’m sorry, this is one recipe where you’ll just have to experiment to see what works in your kitchen. I adore falafel, but I don’t adore having to fry them all the time. I was looking for a way to cook them with less fat. I was considering baking them, but worried about them drying out. 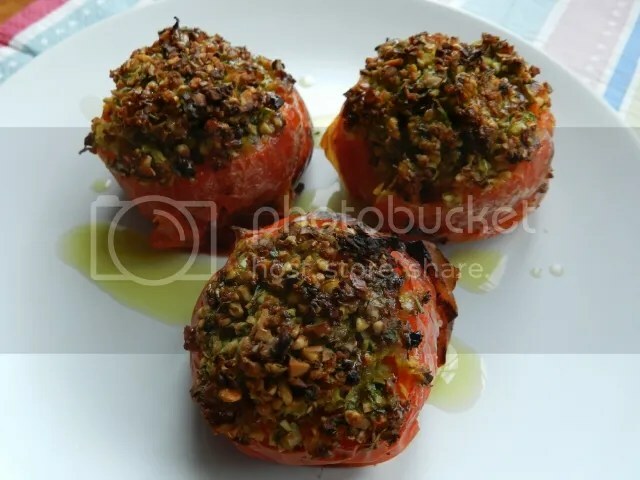 Then I hit upon the idea of stuffing tomatoes with the falafel mix and then roasting the tomatoes. Though I say it myself, it was one of my better ideas. 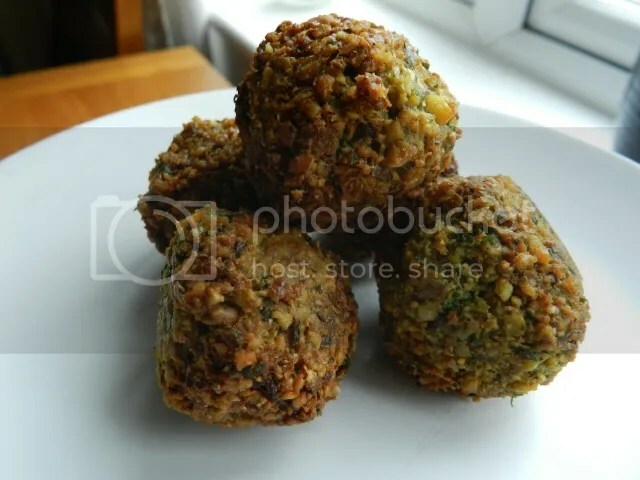 You get all the flavour of fresh falafel (and there is nothing better), the mix is soft and moist inside the tomato and then crispy and crunchy where it sits on top. Also, no frying smell! If you want to make falafel for a dinner party, you don’t have to start frying them at the last minute while you guests are there. If your falafel always fall apart on you, this if fool-proof! Fat-free, fool proof falafel? It might start a trend! Add the drained chickpeas, onion, garlic, chilli, cumin, coriander and parsley to a food processor. Slice the stalk end off the tomatoes and hollow out the inside. If the tomatoes won’t stand up, carefully cut a little bit off the end to make them stable. Fill each tomato with the falafel mixture, with a little rounded heap on top to go crispy in the oven. Put on an oiled baking sheet and place in the oven. Serve with a drizzle of olive oil over them. Or don’t, if you want them fat-free. Serves 2 as a light lunch with a green salad and some crusty bread. This recipe, a kind of half-way house between nibbles and a dip, comes a roundabout route from The Pink Adobe Cookbook via one of the legendary food threads on alt.tv.highlander. I have served it up at most of the fangirl weekends I’ve hosted. It was a firm favourite and was known as ‘that chickpea thing’. When making it in bulk, I’ve cooked the chickpeas from dry, but it works just as well with tinned chickpeas as long as you heat them up a little so that they absorb more of the flavours as they sit in the marinade. I think the original had a lot more olive oil, so feel free to add more in if you want to. You need to let this sit for at least six hours before serving. Overnight is even better. 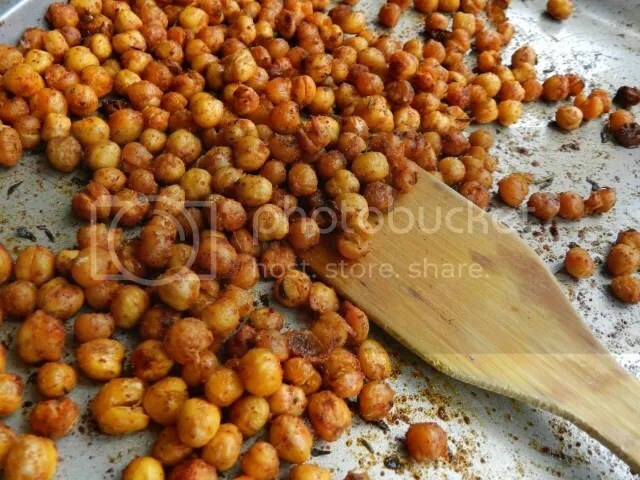 You need to serve it with some crisps that can scoop up the chickpeas. Tortilla chips are great but those mini popadoms are even better. If using tinned chickpeas, put them in a suitable bowl and microwave them for about a minute just to warm them through. Add all the ingredients together, season with salt and pepper and mix thoroughly. Cover and leave to stand at least six hours before serving. 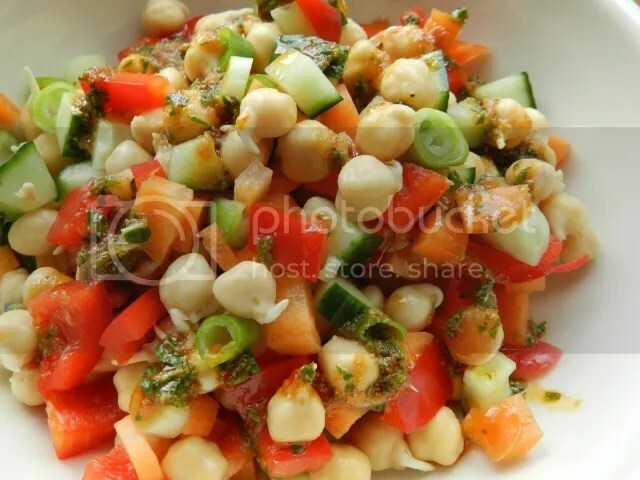 To serve, spoon out the chickpeas with a bit of the marinade mixture to keep them moist. Serve with mini popadoms or tortilla chips. Serves 2 with other dips. I have a bit of bad conscience about chickpeas. I’m not that fond of them. They’re OK once in a while, but to me there’s always a bit of an aftertaste of tea-towel to them. I once made a chickpea and spinach curry for Sharon, the other fat veggie, and a friend. They loved it and I couldn’t finish it. I like chickpeas in things – hummus and falafel for two – but not when they’re the main event. There is an exception to this, though. I love them raw and sprouted. Then they’re sweet, crunchy with a mild nutty flavour. That’s it. The only rules are, after the initial soaking, don’t leave the pulses sitting in water and make sure that they have access to air when they’re sprouting. You can buy specialist sprouting jars that make the process easier, but you can get the same result with a jam jar with holes in the lid, or a bowl with cling film that doesn’t completely cover it. You can grow the sprouts as long as you want them to be, maybe an inch or two for mung beans or puy lentils, but chickpeas are good as soon as they start to show little white shoots. Once you have your sprouts, you have to use them. I put together this great crunchy salad that showcases them properly. The dressing is an absolute star. I came across the idea as a marinade for roasting corn on the cob. It’s a great balance of spicy, hot and fresh flavours. I’m definitely going to use it again in other things. Does this need a method? Put the salad ingredients together in a bowl and mix. Add the dressing to the salad and mix until coated thoroughly. I love falafel, but I’ve always failed when making them before. No matter how hard I tried, no matter how disciplined I was in terms of leaving the things alone in the pan, I always ended up with varieties of mush – tasty mush, but not what I was after. I stumbled across this recipe for them when searching for a way of using chickpea flour instead of whole chickpeas. Typically, for my kind of internet search at least, it doesn’t involve chickpea flour, instead it uses raw, soaked chickpeas. I think this might be the key. The little balls held firm and didn’t fall apart when fried. Result! I’ve kept the spicing light for these, as per the original recipe, but there’s no reason you can’t add a few bits of chilli and such like to the recipe. One practical thing to note, though, this is shallow frying, not just a splash of oil in the pan. You need to keep pouring the oil in until it covers the base of the pan. It doesn’t need more than that (it’s only a couple of millimetres), but any less will fail. A yoghurt and mint sauce would go nicely with these, or, if you want to keep it vegan, a cucumber salad would be nice as well! Drain the chickpeas and put in the food processor with the rest of the ingredients. Process until you have a quite a fine grained, dry mix. Form into golf-ball sized balls. You should get about eight from this quantity of mix. Leave them in the fridge for an hour or so to firm up. When you are ready to cook, shallow-fry in a medium hot frying pan, turning over once one side is browned. Serve, after draining on kitchen paper to remove the excess oil. Having made some vegan mayonnaise, I wanted to find a recipe to use it in. 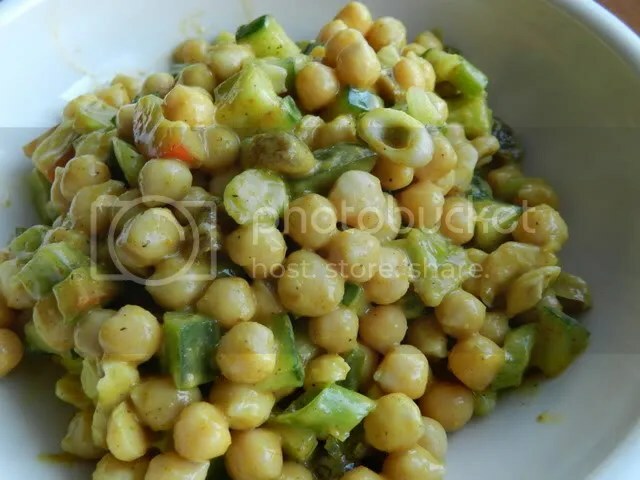 A while back I was inspired to find a recipe for Coronation Chickpea Salad. I’ve always been fond of coronation chicken and using chickpeas instead of the chicken sounded like a great idea. And now I had the vegan mayonnaise to go with it. Put all the ingredients into a bowl and stir until they are all coated in the curry sauce. Cover and leave to stand at room temperature to give the sultanas time to plump up a little. Serve on lettuce with crusty bread. This is from Nigel Slater’s Dish of the Day programme. It needs the lift of the lemon juice at the end. Another time I might put a bit of lemon zest into the stew as it cooks. Dry fry the peppers in a saucepan on a high heat until most of the pieces have a few charred specks on them. You’re not trying to burn them, just add a little roast pepper flavour to the stew. Turn the heat down and add the tomatoes. Stir for a couple of minutes as they release their juices. Add the harissa paste and stir to coat the peppers and tomatoes. Pour in the chickpeas including their water. Cover and cook for 15 minutes, then cook for 15 more minutes with the lid off. Pour in the lemon juice and stir in the chopped coriander. Season. It will take quite a lot of salt. Serve with cooked rice, couscous, quinoa or another grain. Slimming World syns – According to the Food Optimising book, harissa paste is free on green. I am suspicious about that as the paste I used had a lot of oil in it. I would say this gets about 2 syns for the oil in the paste. Otherwise this is free on green.